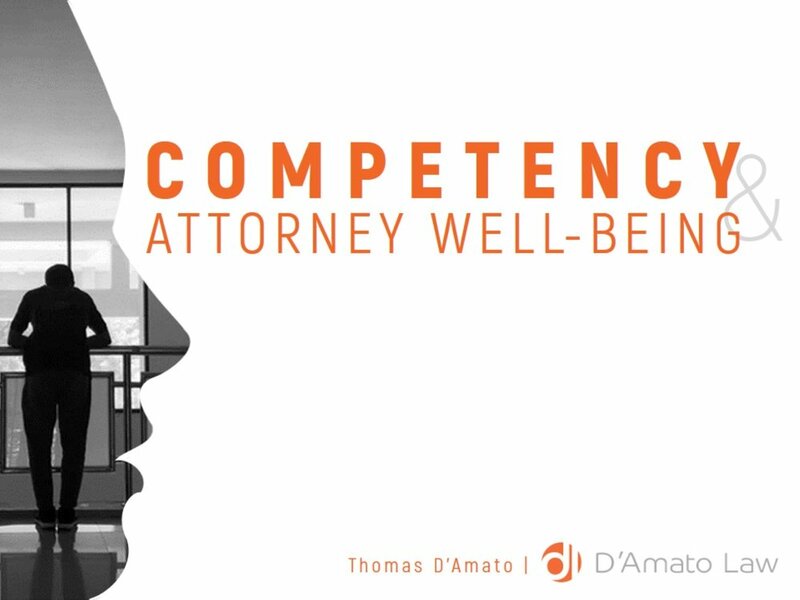 On Wednesday, June 28th, 2018, D’Amato Law attorneys, Thomas J. D’Amato and Christopher Whang, presented on the topic of competency and attorney well-being at Hoge Fenton Jones & Appel. The discussion included upcoming changes to the Rules of Professional Conduct on competency and a difficult, but important, examination of substance abuse and mental, emotional and physical impairment which can impede attorney competence. D’Amato Law commends the courage of leadership at Hoge Fenton in being a part of the dialogue toward profession-wide positive change. The D’Amato Law Team is honored to have spoken on this critical topic to raise awareness about changes that can be incorporated for the well-being of all lawyers. We are especially grateful to Ms. Jessica Goecke for her beautiful design work in bringing this PowerPoint presentation to life. We also want to give a huge thank you to Ms. Grace Carr Lee and the rest of the team at Hoge Fenton for making this presentation possible and for their attentive and respectful participation.